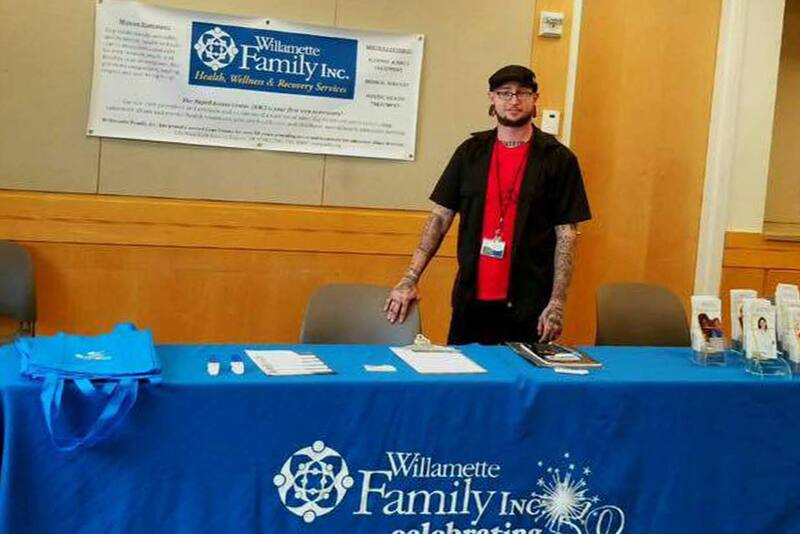 September 1st marks one year since Willamette Family partnered with the City of Eugene’s Community Court program. Community Court is held every Friday at the downtown Eugene Public Library. This innovative court is focused on providing individuals who meet the court’s criteria with an opportunity to engage needed behavioral health services, rather than traditional punitive sanctions. “The past year in community court has been an amazing experience and I feel very fortunate to have been afforded the opportunity to participate in the program. I have helped build and refine some concepts within the court, advocated for participants and led people into services with Willamette family. In addition, I built a rapport with the Judges, attorneys, court staff, EPD, and other providers who participate. It is refreshing to see the forward-thinking and open mindedness that this court offers. I sometimes find it mind-blowing that I can work with cops, judges and prosecutors and be given a podium to advocate for court participants. What makes it better is that I am encouraged to do so. Personally, I came from the streets and I can empathize with the individuals that I encounter at court. The plights that these individuals face are intersectional, complex, and oftentimes very misunderstood. Community Court has continued to offer a hand-up and seeks to support rather than provide traditional punitive sanctions. The court is also unique in that it doesn’t have a hierarchy in a traditional sense. It is personable, with the judge and attorneys sitting eye level with participants; seeking to listen and understand as opposed to trying and convicting. That said, the most unique and supportive part of this court is that is believes in people; it offers opportunity to participants and gets them involved within the community and within treatment.